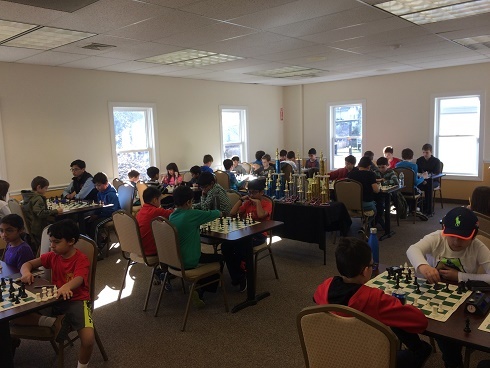 This month's K-12 President's Day Scholastic tournament hosted 47 very eager and determined players of various ages and ratings. 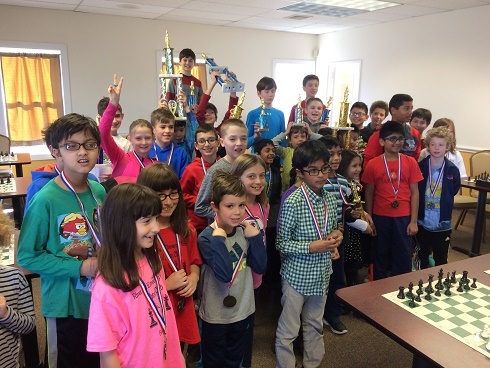 Every player, regardless of skill level, demonstrated remarkable sportsmanship and all focused on having fun and learning during their four G/25 games. 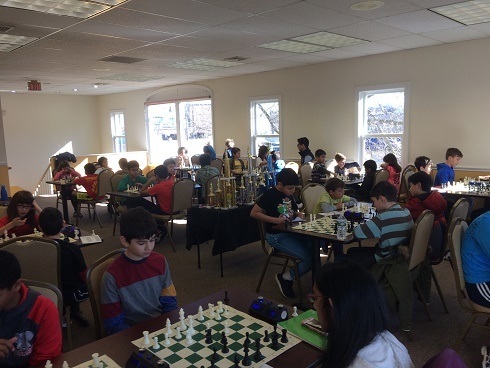 The K-5, our largest section, hosted 21 players! Gabriel Herne, Mateusz Zalewski, and Avery Cotton all played tough. They won three of their four games, putting them in fifth, fourth, and third place, respectively. Our first and second place winners -- Max Ingargiola and Neel Behringer -- both scored 3.5 points. The K-12 Section, saw 14 total players. Chistopher May, Matan Katz, Jared Schwartz, and Andrew Gray placed fifth, fourth, third, and second, respecitevly. They all scored three points. Congratulations to all the participants on a great tournament. We hope to see you all again soon!